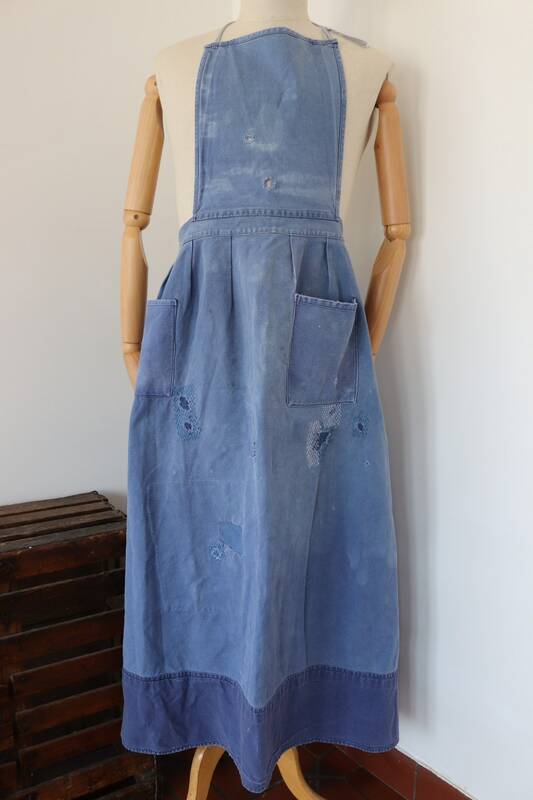 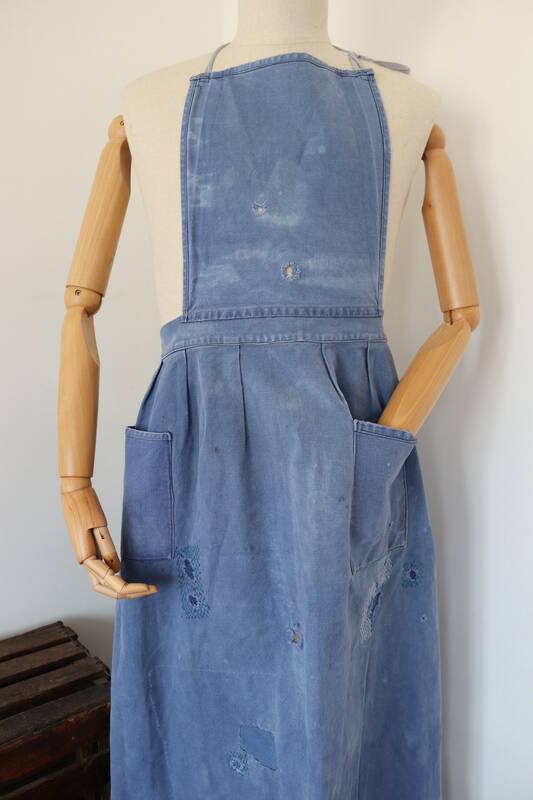 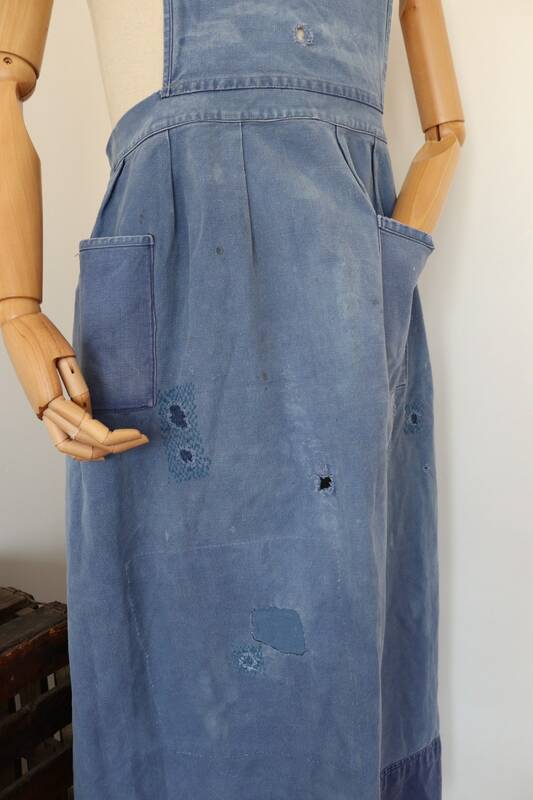 A full length cotton twill kitchen apron dating from the late 1940s /early 1950s. 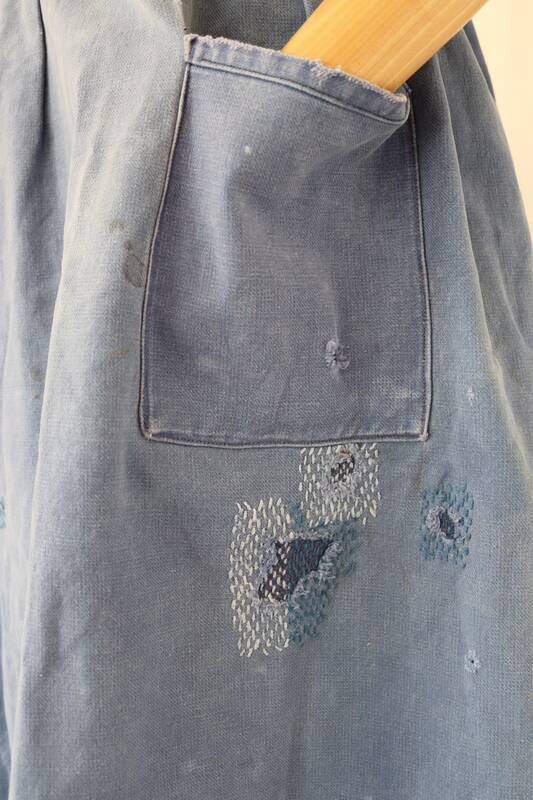 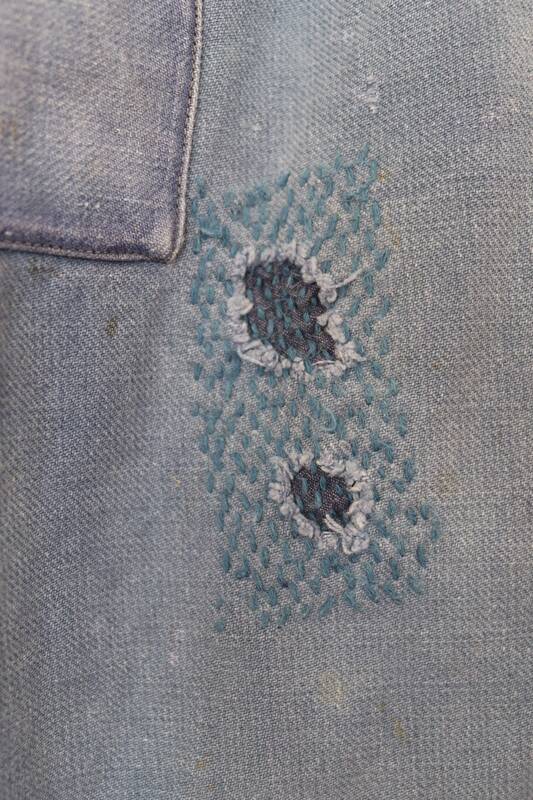 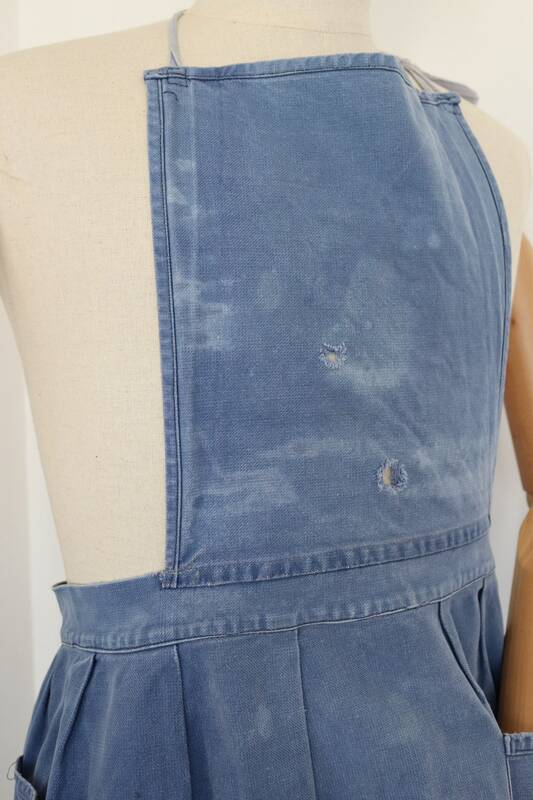 Noted flaws - small marks and fading throughout and hand sewn repairs - please see photos. 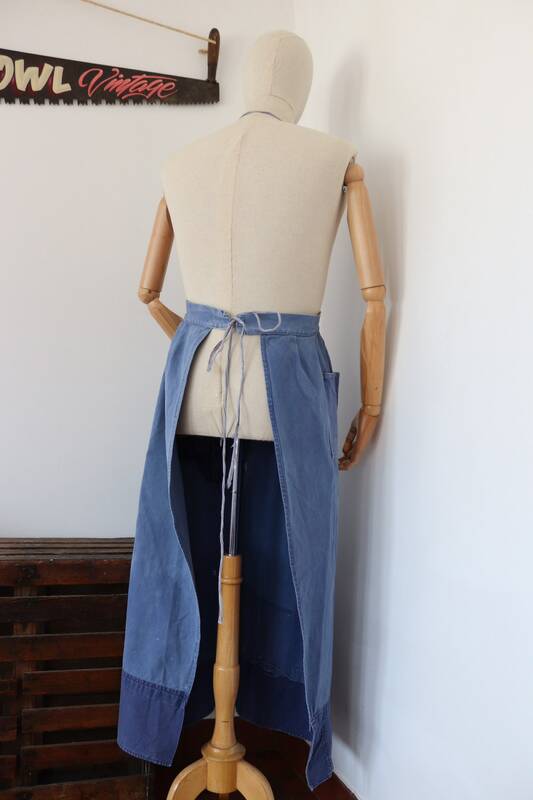 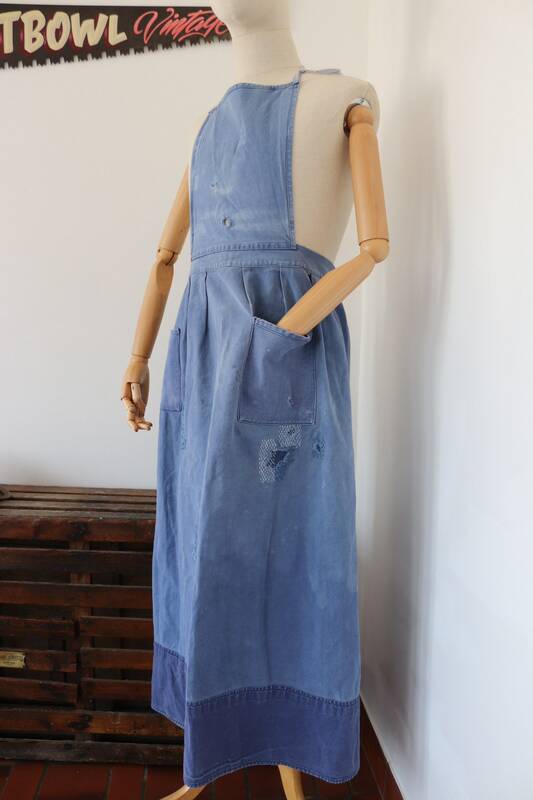 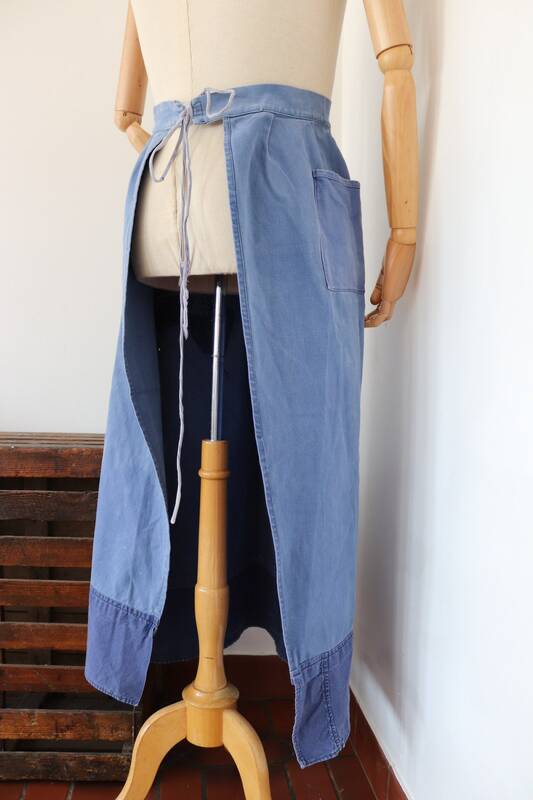 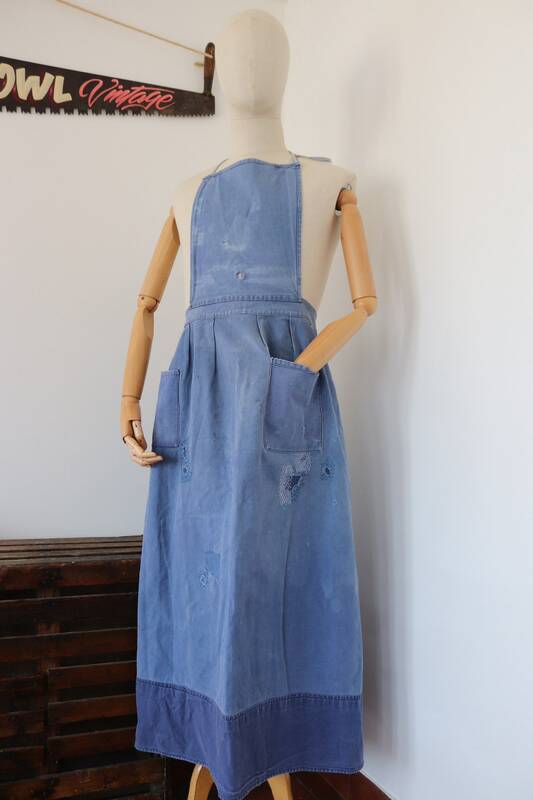 This Apron came from a nunnery in the Loire area of France, full length, pleated at the waist, two hand pockets, great for gardening, cooking or other hobbies, string ties.